League City & Friendswood Realtors -The Brian Worrell Team, Realtors. Our job is to be experts for our clients and represent them professionally & skillfully. Call us today l- 281-948-7042. Recently Awarded from HAR Top 20 Rising Star of Real Estate in the Houston Metro Area! Call or e-mail for your… FREE HomePrice Evaluation! 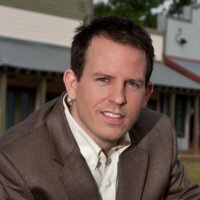 About Brian Worrell TeamBrian Worrell, leader of the Worrell Team, is a Realtor specializing in League City, Clear Lake and surrounding areas in the SE Houston Metro area, also known as the Houston Bay Area. The team is comprised of 4 Licensed Realtors. 2015 Award from HAR Top 20 Rising Star of Real Estate in the Houston Metro Area! — recognized for demonstrating excellence in the area of sales, leadership and community. This award goes to only 20 agents that represent what the selection committee consider to be overall well-rounded REALTORS. —Brian received this award from Prudential Gary Greene based on his proven record as a top producer. This award ranks Brian as a top national agent by Prudential Real Estate. While associated with Prudential Gary Greene, Brian was consistently ranked in the top 1% of their agents. Brian has also been a member of the Prudential Leading Edge Society and the Prudential Honor Society. Real Estate Radio Expert—Brian has been a regular contributor on AM 1070 as a Real Estate Expert for the Houston Bay Area. Graduate REALTOR® Institute—Brian carries a designation from the Graduate REALTOR® Institute (GRI). The GRI certification is the universally recognized mark of a real estate professional who has made a commitment to providing a superior level of professional service. REALTORS® with the GRI designation are highly trained in many areas of real estate to better serve and protect their clients. Certified Negotiation Expert—Brian is a Certified Negotiation Expert (CNE). The CNE designation is nationally recognized and requires extensive formal training in negotiation and business strategies. Where some agents walk away from a difficult negotiations, the Worrell Team is committed to creative negotiation and problem-solving. Family Man and Ninja Warrior—Brian and his wife Carey, also a member of the Worrell Team, live in League City with their two children, 8 year old Maddie and 5 year old Gavin. In his spare time, Brian plays Pickleball at the national level, and strives to one day compete as a Ninja Warrior. For more information about Pickleball and Ninja Warrior, call 281-948-7042.